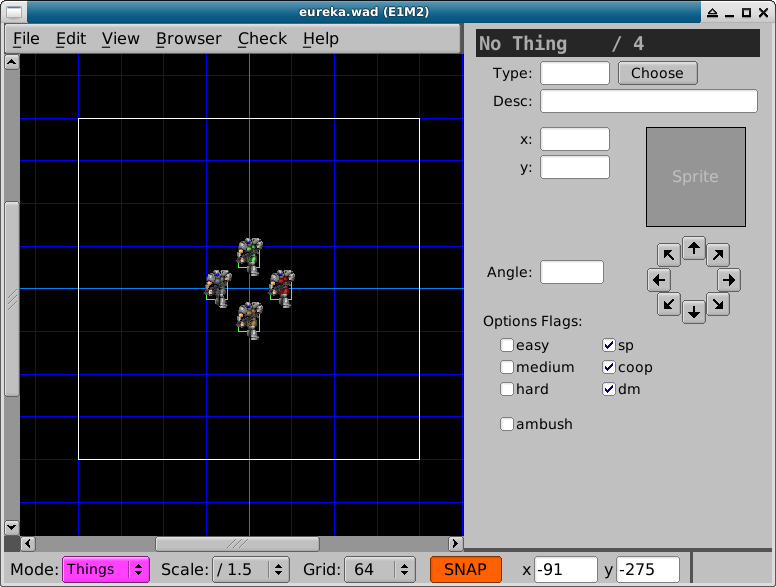 Eureka features a 2D orthogonal view and a 3D view. Switch between the two views with the tab key. This arrow in 2D view indicates the current position of the 3D camera. 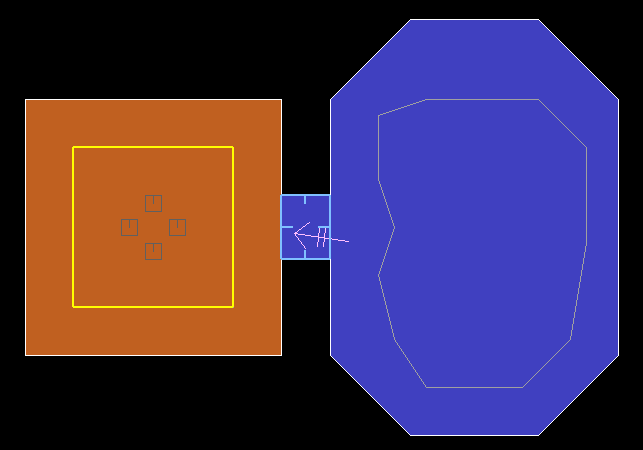 Press ' (single quote) in the 2D view to position the 3D camera at the location of the mouse cursor. Press end in 2D view to center the map on the camera position. Toggle the grid in 2D view with the Grid dropdown box (located on the bottom status bar), or by pressing g. You can quickly change the grid size with the 0-9 keys. 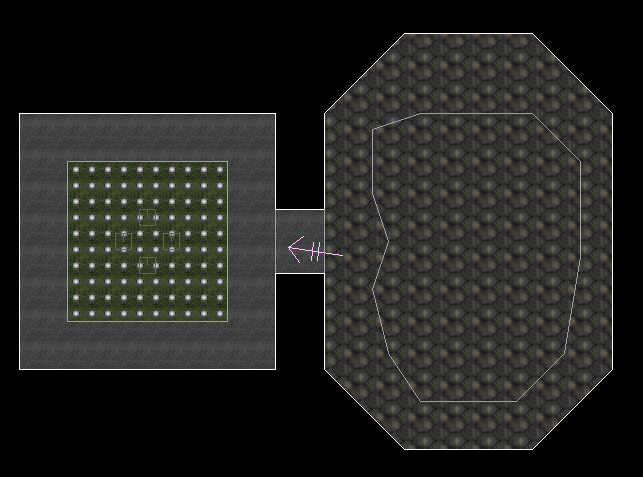 Toggle free mode / grid snapping with the f key. 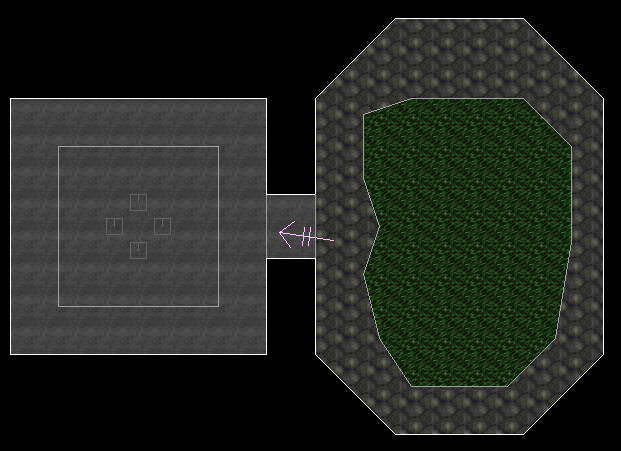 If you encounter lag while panning a large zoomed-out map, disable grid rendering with g while panning. 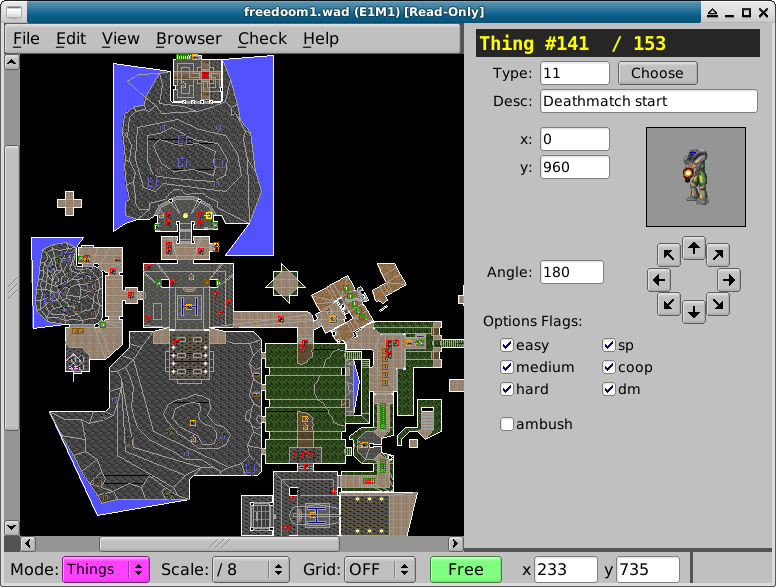 The View / Sector Rendering menu toggles how the 2D view draws sectors. This mode draws the floor textures of sectors. This mode draws the ceiling textures of sectors. The light render mode draws shades of sector light levels. 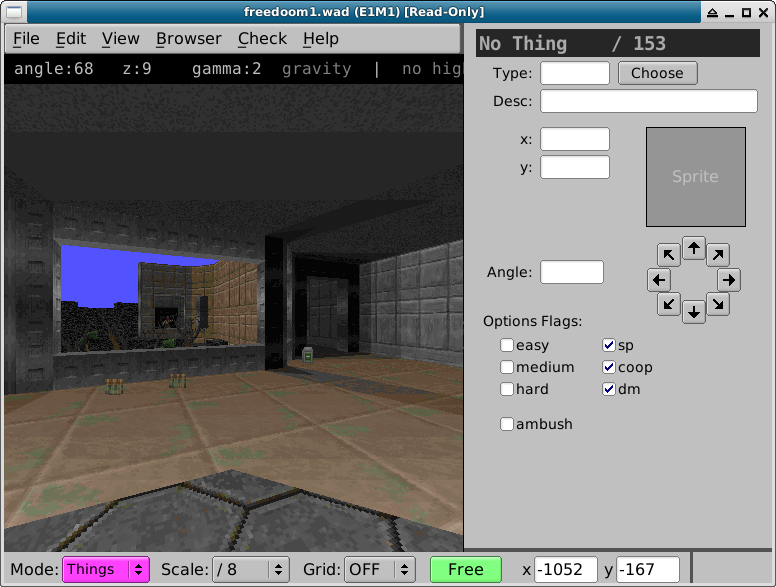 The sound render mode highlights sectors based on how sound travels. 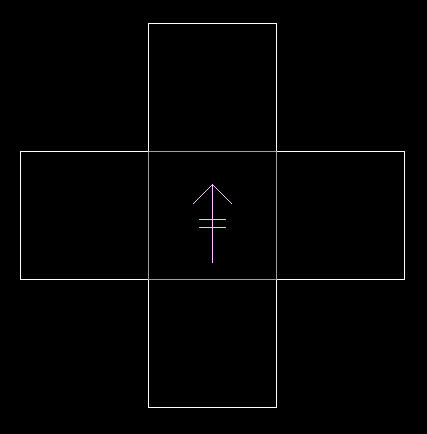 You have to be in sector edit mode for this mode to work (press s), hover your mouse cursor over a sector to see how sound will propagate. By setting the sound block flag on linedefs, you can lower the volume of traveling sounds. 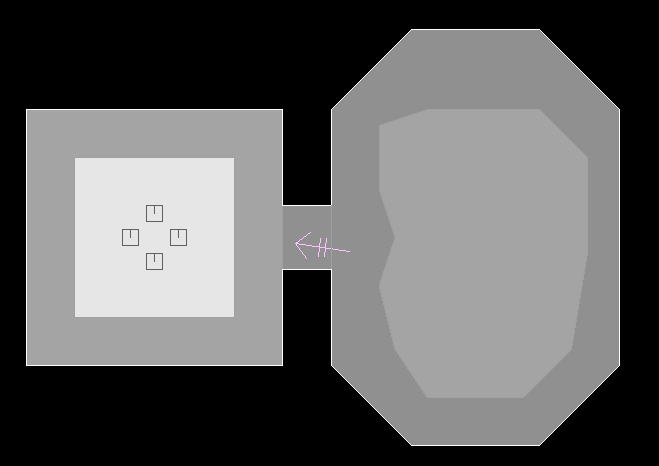 Sounds do not travel across two sound-blocking lines. 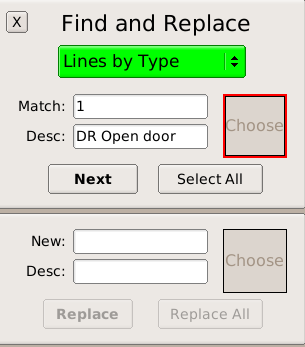 Open the find panel with the View / Find menu or press control-f.
You can search for Things, line textures, sector flats, lines by type (specials) or sectors by type.